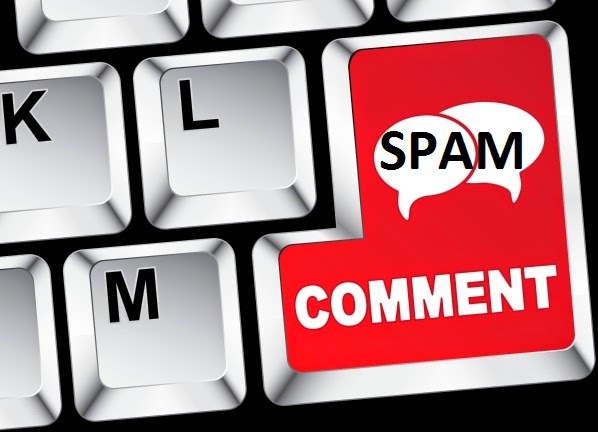 Does Spam Comment Links on Blogger effect your Blog SEO or Traffic? Bloggers probably know more about comment spam than anyone else. It is really annoying to write an article about one thing, and see completely off-topic comments, possibly spam ones that make no sense whatsoever. People usually do it in order to increase backlinks to their own websites. But does that work? And how do these spam comments effect your website? In this post, we'll address some of the popular questions regarding this topic, and will look at how you can help reduce comment spam. Speaking from a SEO perspective, if you nofollow blog comments, there will be no consequences for spam comments on your blog. Whenever Google sees the attribute rel="nofollow" with a hyperlink, that links doesn't get any credit with search ranking. This doesn't mean a negative vote for the site where the comment was posted; it's just a way to make sure that spammers get no benefit from abusing public areas like blog comments, trackbacks, and referrer lists. However, for the spam commentators, if Google sees that you have a sizable chunk of your backlink profile dedicated to link comments, you're bound to get penalized. If these links come regularly in an unnatural amount/manner, you'll see your site get penalized. Not much, apparently. Just make sure that your blog software is upto date. Major platforms such as WordPress, Blogger, Flickr, Live Journal, etc have all implemented the rel="nofollow" attribute for comment links. However, if you're more than just a blog, it is recommended that you use the rel="nofollow" attribute anywhere that users can add links by themselves, including within comments, trackbacks, forums, testimonials, etc. Comment areas receive the most attention, but securing every location where someone can add a link is the way to keep spammers at bay. So, should you put this attribute on the link t any comments page? Probably not, because lots of interesting discussion can happen there. Also, if other people link to your comments page, a spider can follow that link and find any spam that's lurking on the comments page. The best places to add this attribute are the actual links that other people can create. So on this page, for instance, only the links within comments and the link immediately after "Posted by:" would get the rel="nofollow" attribute. Google will recognize the "nofollow" keyword even when it's part of a space separated list. According to the HTML spec, the value of the 'rel' attribute is a space separated list of link types. For that, Google practices what can be described as the "be liberal in what you accept" philosophy, which means recognizing spaces, commas and, in fact, most punctuation. But it is strongly recommend to use spaces as separators to follow the specification. I will surely keep this in mind. Thanks.